“Fifty years ago, a dark green 1968 Ford Mustang GT fastback with a 390 V8 engine took to the streets of San Francisco in the movie “Bullitt“. Ford Motor Company commemorated the thrill of the chase scene, pitting Steve McQueen as Frank Bullitt against the bad guys in a black Dodge Charger. forever cementing the legacy of the Bullitt Mustang. Ford Motor Company enabled its customers to put on the air of Steve McQueen’s character and the mantle of “cool” by releasing the Ford Mustang Bullitt, first in 2001, later in 2008/2009, and now again in 2019. Wearing its iconic color hue, known as dark highland green, the 2019 Ford Mustang Bullitt roars to market with 480hp from its 5.0L V8 engine, much more than the big block in the original movie car. Shadow black is also an option for those who appreciate a more sinister look. The 6th generation Mustang on which the new Bullitt is based blends modern lines with the classic style of the 1968 fastback profile, especially as seen from the rear ¾ view of the vehicle. The 2019 Mustang Bullitt also links to the original move car with its chrome accents in the front grille area and the side window surrounding. A circular Bullitt badge is located in the area of the rear decklid where the gas cap of the 1968 car first appeared. It’s another callback to the car that started it all. There are no other Ford or Mustang badges, and even the pony in the grille is missing in keeping with the understated, clean look of Frank Bullitt’s steed. This entry was posted in Car Art - Automotive Art of Danny Whitfield. Personalize a print – make it look like YOUR car Click Here! This entry was posted in Car Art - Automotive Art of Danny Whitfield and tagged accessories, art, automotive, Cars, chevrolet corvette, classic cars, Corvette Sting Ray, news, poster, print, racing, transportation, z06, zr1. AmericanMuscle is back at it with their latest giveaway featuring two different Mustang builds for two lucky winners. Built by Rovos Wheels and C & L Performance, AM’s Street VS Strip Build Giveaway will award two grand-prize winners with a Street-inspired or Strip-styled Mustang build. The Street Build will focus on upgrades and modifications like suspension, wheels, exhaust, lighting, drivetrain as well as some exterior and interior styling mods. The Strip Build will focus more on performance mods, and will also include some forced induction on top of other mods. You can find out all about it here! When you get a new 2018 Mustang, have a commemorated as a masterpiece by artist Danny Whitfield. Yes, you can have your print customized any way you like. See how its done here! This entry was posted in Car Art - Automotive Art of Danny Whitfield and tagged accessories, AmericanMuscle, art, artist, automotive, Cars, Ford Mustang, modifications, Muscle Cars, news, Performance, poster, print, transportation. 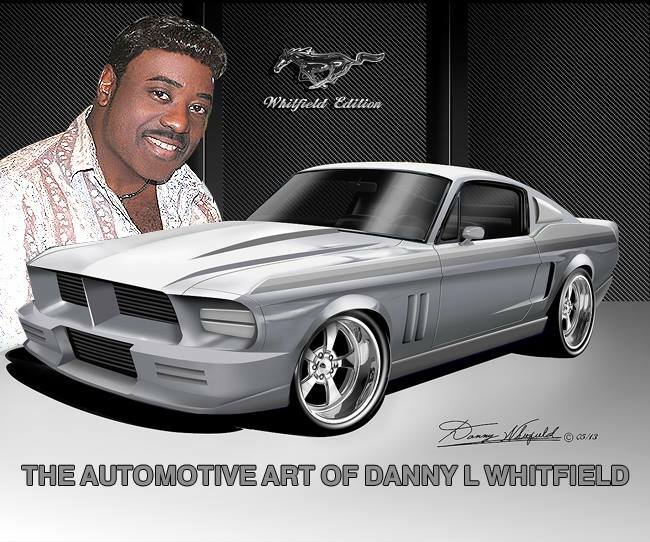 All the more reason why you need “The Automotive Art of Danny Whitfield” to salvage the memories. Ford today announced it will phase out most cars it sells in North America. According to its latest financial release, the auto giant will “will transition to two vehicles” being the Mustang and an unannounced vehicle, the Focus Active, as the only traditional cars it sells in the region. Ford sees 90 percent of its North America portfolio in trucks, utilities, and commercial vehicles. Citing a reduction in consumer demand and product profitability, Ford is in turn not investing into the next generation sedans. The Taurus is no more. The press release also talks about a new type of vehicle though it sounds like a crossover. This so-called white space vehicle will “combine the best attributes of cars and utilities, such as higher ride height, space, and versatility.” Currently, Ford sells six sedans and coupes in North America with the Fiesta, Focus, Fusion, C-Max, Mustang and Taurus. This lineup hits multiple segments from the compact Fiest to the mid-size Focus, C-Max and Fusion to the full-size Taurus. The Mustang stands alone as the lone coupe. It’s likely Lincoln’s sedan’s will also disappear though this was not explicitly stated in today’s press release. Lincoln currently sells the mid-size MKZ and full-size Continental — both share platforms with Ford counterparts. If Ford is phasing out the development of sedan platforms, Lincoln will likely suffer, too. This reduction in traditional cars was a long time coming. North America consumers have increasingly turned to crossovers, trucks and SUVs over sedans and small cars. A trip to any parking lot will likely produce more evidence to this movement. There are several factors involved from more fuel efficient and better-equipped trucks and SUVs along with improved safety ratings and ride qualities of these vehicles. Ford also today reaffirmed its commitment to bringing hybrid-electric powertrains to the F-150, Mustang, Explorer, Escape and upcoming Bronco. This announcement comes several weeks after Ford explained in broad terms its love affair of trucks and SUVs. Ford estimates that SUVs could make up as much as half the entire U.S. industry retail market by 2020, and that’s why it’s shifting $7 billion in investment capital from its cars business over to the SUV segment. By 2020, Ford also aims to have high-performance SUVs in the market, including five with hybrid powertrains and one full battery electric model. This entry was posted in Car Art - Automotive Art of Danny Whitfield and tagged accessories, art, art prints, automotive, C-Max, Cars, f-150, Focus, ford, Fusion, mustang, news, posters, racing, Taurus, transportation. This entry was posted in Car Art - Automotive Art of Danny Whitfield and tagged 2018, 2019, 700+HP 2020 Mustang GT500, accessories, art, bullitt, Cars, latest spy photography, mustang, news, poster, print, Shelby GT500, transportation.